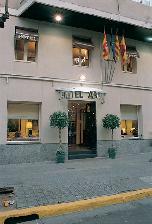 Region Information : Hotel Abalon is located in the surroundings of the Sagrada Familia, the most famous building of Barcelona, masterpiece of Antoni Gaudì. An enormous cathedral which will be finished on 2050. Two minutes walking from the hotel our guests may find the Hospital de Sant Pau, which offers an impressive facade of Domènech i Montaner, symbol of Catalan Modernism. The Parc Güell can be easily reached. A dragon, a lot of rock pillars, a coloured and terraced area where have a breathtaking overview of Barcelona… these are some of the reasons to recommend this visit. Other interesting places close to the Hotel Abalon are: ·	Jean Nouvel’s building: Torre Agbar ·	Mercado de los Encantes: a very typical and popular market; ·	Laberinto de Horta: a neoclassical park where everybody can lost himself in a gorgeous environment. 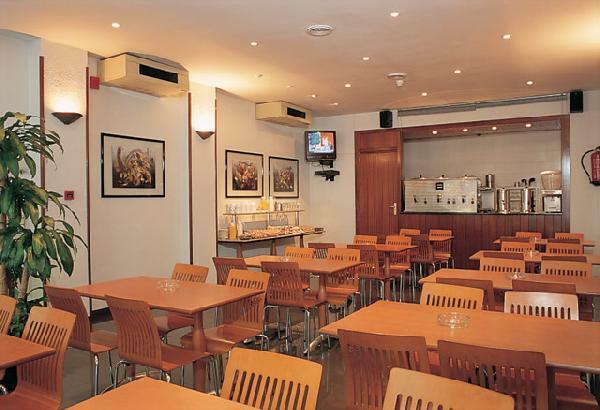 After a day visiting the neighbourhood or the other famous places of Barcelona (Plaça Catalunya, 10 minutes far by metro; Port Olimpic, Montjuic or the Camp Nou, 15 minutes by metro) we usually suggest a dinner at the Restaurant El Vendrell, surely the best value for money restaurant in our zone. It is not necessary go to the Port to taste an extraordinary Paella.. Finally our guests may spend a couple of hours at the Michael Collins Pub, just in front of the Sagrada Familia. Please consider that it is widely considered the “Irish bar of Barcelona”!! 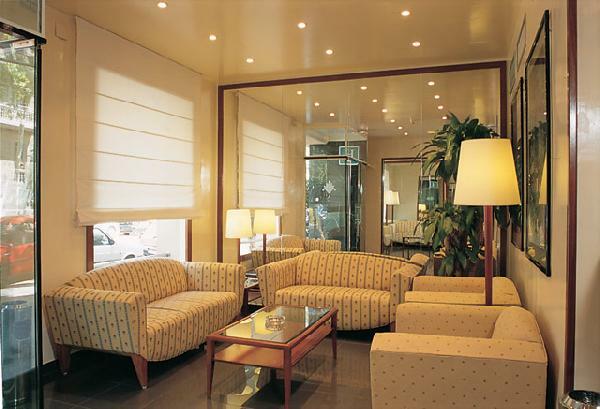 Short description : The Medium Abalon hotel is a charming establishment located very close to the Sagrada Familia (Holy Family Church), one of the city's marvels of Modernism. It offers spacious rooms with all comforts and amenities to rest and relax in, as well as large areas with natural lighting. 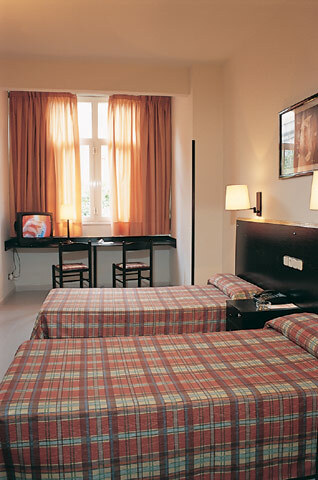 It is the ideal place to enjoy a stay in an inviting environment and with personalised service. Cancelation Policy : Normal cancellation policy: 1 day before arrival without penalty (penalty=1 night charge). 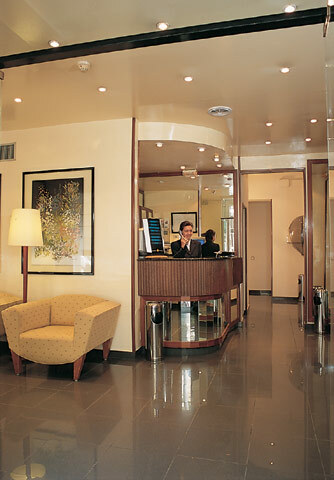 Make sure you check whether your stay coincides with any of the following dates as the cancellation policy varies. Special cancellation policy: 7 days before arrival without penalty (penalty=1 night charge) for the following periods: 3 GSM 10-16 FEBRUARY 2007 SEMANA SANTA 5-9 APRIL 2007 CONSTRUMAT 14-19 MAY 2007 FORMULA 1 11-12 MAY 2007 MOTOS 8-9 JUNE 2007 BREAD & BUTTER 4-6 JULY 2006 CANCER C.23-27 SEPTEMBER 2007 EIBTM 27–29 NOVEMBER 2007 FIN DE AÑO 28-31 DECEMBER 2007 The hotel reserves the right to pre-authorise credit cards prior to arrival.